An Indonesian man with a wide smile walks toward us and asks: “Are you Lotte?”. “Yes I am”, I say: “And this is my husband Frank”. “My name is Wayan”, he replies: “I will be your host for the next 3 days”. Wayan walks us to his car and we set off to his village Sebatu, about 40 kilometers from Sanur where Wayan picked us up. Traffic is very busy so we have plenty of time to get to know each other. We quickly learn that Wayan has three children who are aged 24, 23 and 11. His profession is wood carver and he loves birds. We tell Wayan that we have been in Bali for a few days and before that in Canada. Wayan tells us he has never been on a plane. “For you it’s easy,” he says: “You can work a year and go wherever you want”. He says all this without any trace of envy or jealousy, he is just stating the facts. Yes, for us it’s easy to travel… And so easy to forget what a privilege it is. 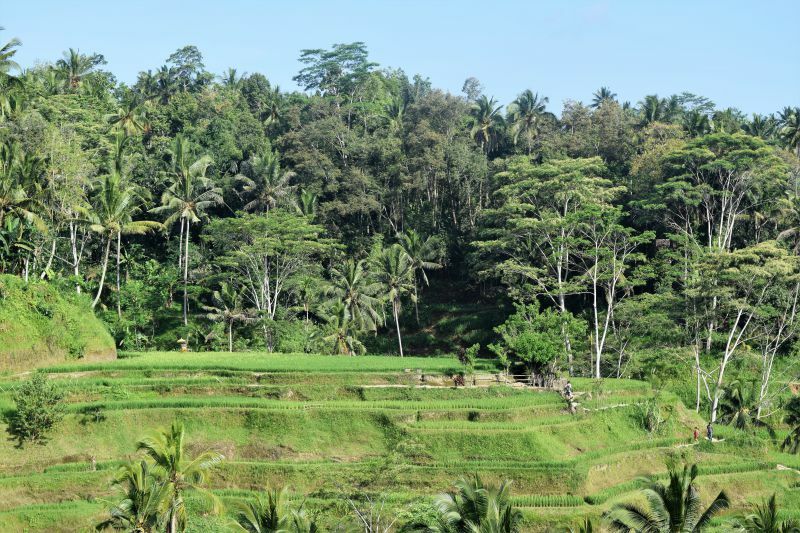 Wayan points out a couple of sights along the way, busy Ubud and the famous rice terraces of Tegallalang. But those places are not the reason we are here. We are here because we want to get know the real Bali. It can be difficult to really get to know a place as a traveler, I mean really get to know it. There is so much more to Bali than the beaches of Kuta, the yoga schools in Ubud, the popular surf bars in Canggu and the countless cafes serving colorful Acai bowls. But it can be difficult to find that other side… To discover how people live their lives, how their society and their religion works. Which problems they face and how they deal with them. You don’t often get to see that side of a destination. But with Duara Travels we did. We got to step inside the world of Wayan and his family for a couple of days and learn about their lives. If you ever visited Bali you will have seen the many offerings by the side of the road, on the steps of a house or on statues. 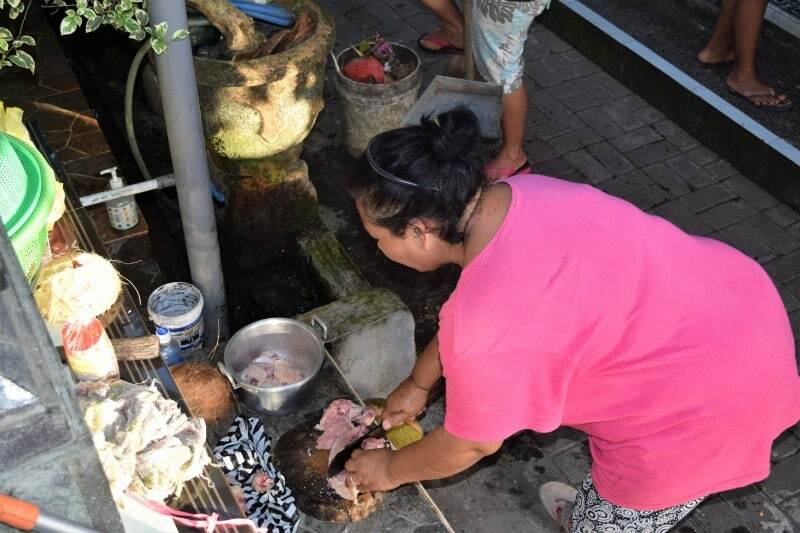 These offerings are everywhere and are an important part of the belief system and Balinese life. 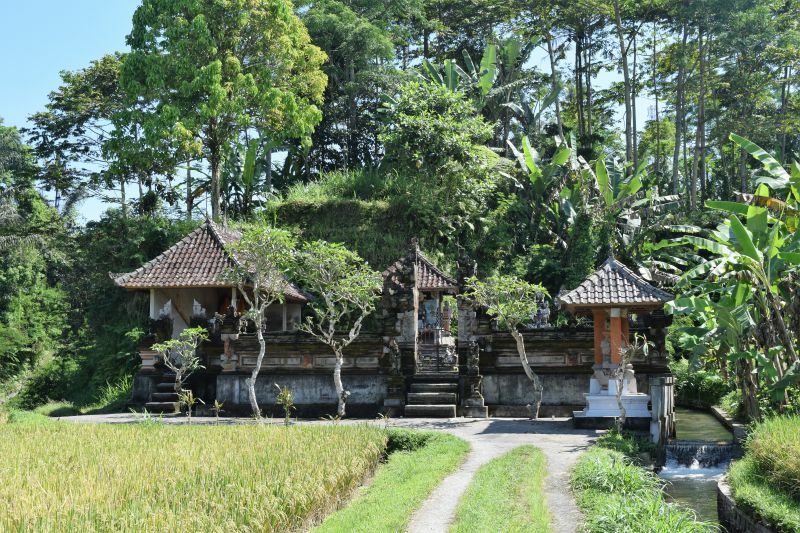 Over 80% of the Balinese population practices a special type of Hinduism, an important part of this believe system is to worship and bring offering to their ancestors. There are also special rituals for gods and spirits and for important life events. Shudras = peasants (90% of the population). It’s not possible for people from the Shudra caste to change caste (in this life) except by becoming a priest. If a Balinese man from the Shudra caste were to marry a Balinese women from the Ksatrias caste, the woman would ‘fall down’ to the Shudra caste. 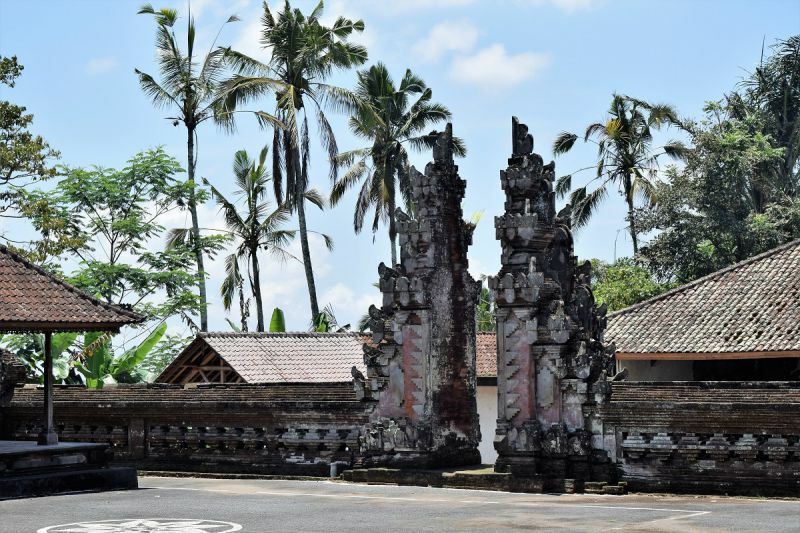 Balinese society: how does it work? To better understand how the Balinese society is organized, see the illustration below. There is a complex social system: first there is the village. The village consists of several banjar. 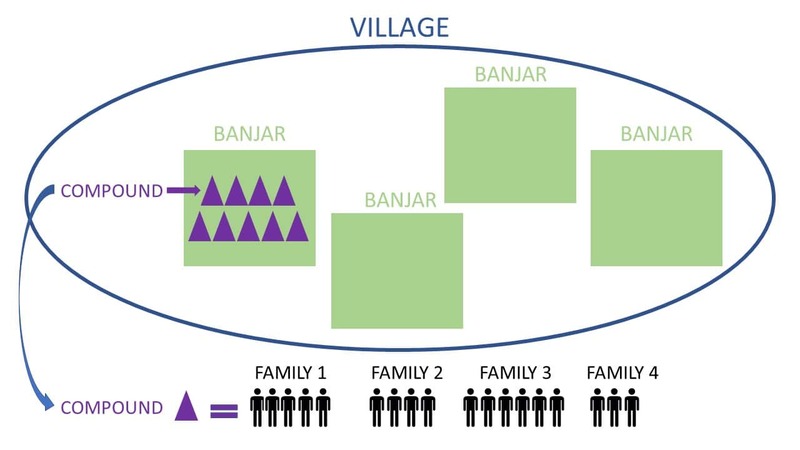 In each banjar, there are several compound (usually around nine) and on each compound live several families. For example, on the compound of our host family there were nine families in total. Five brothers and four sons of the brother of the father of the five brothers. Do you follow? Because of this system there are no homeless people on Bali, everybody has their place within their family, their compound, their banjar and their village. 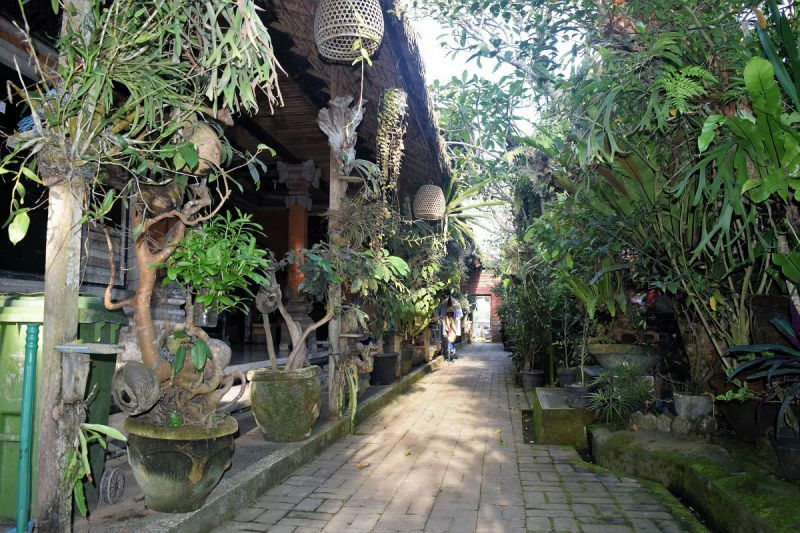 On Wayan’s family compound, the nine families shared pretty much everything. They divided household chores, shared their scooters, made offerings together, shared food and went to important ceremonies together. Each compound has their own family temple, which is built in the northeast corner of the compound. You can read more in depth information in this article. 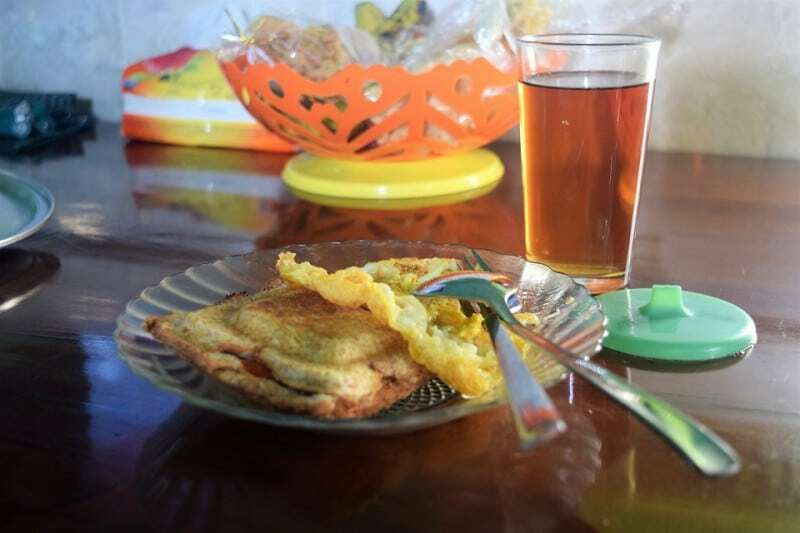 Each compound serves the banjar and the banjar serves the compound. For instance, during Galungan Day, an important Balinese ceremony, the banjar gives the families belonging to their banjar some money. This is because many people do not work during these ceremonies, no work is no income. 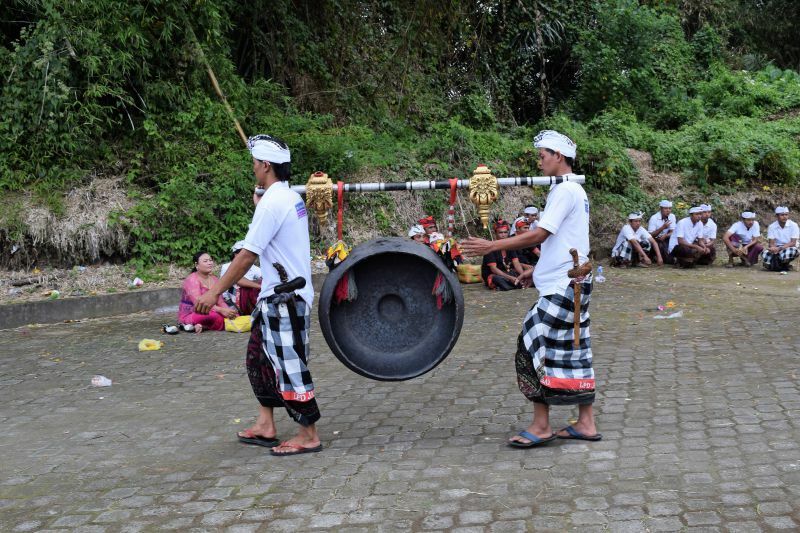 There is much more to Balinese society, but I am not the right person to explain that to you! Just book a stay with Duara and ask Agus, Wayan’s nephew, he can explain everything so much better than I ever could. Anyway, back to our stay with Wayan and his family. While we had our own bedroom and bathroom we tried to join the daily routines of Wayan and his family as much as we could. We ate delicious home-cooked meals together with Wayan’s family and went with him to the local temple to witness a ceremony in preparation of Galungan Day. 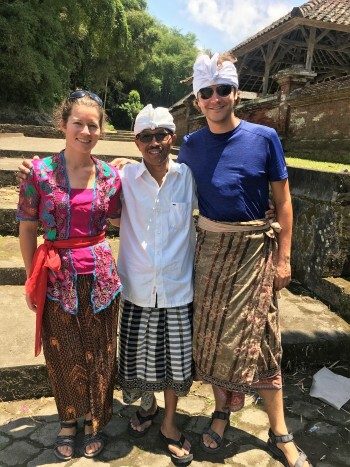 We visited Wayan’s wood workshop, walked through the rice paddies together, learned about each other’s lives and got to know each other’s culture. As mentioned above, our stay with Wayan and his family coincided with the preparations for Galungan Day. There were many chores to perform and the whole family was busy sweeping, cleaning and cooking. 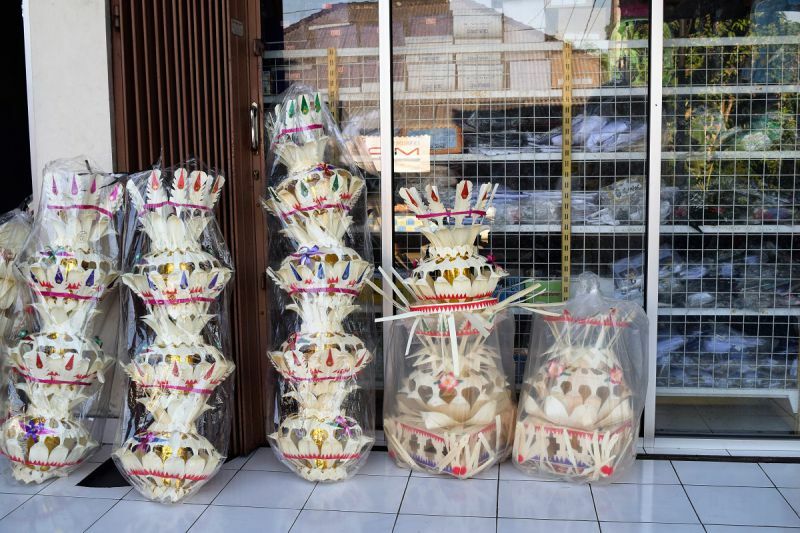 A very important task is the decoration of the Penjor. The Penjor is made from a tall bamboo stick and symbolizes a mountain. 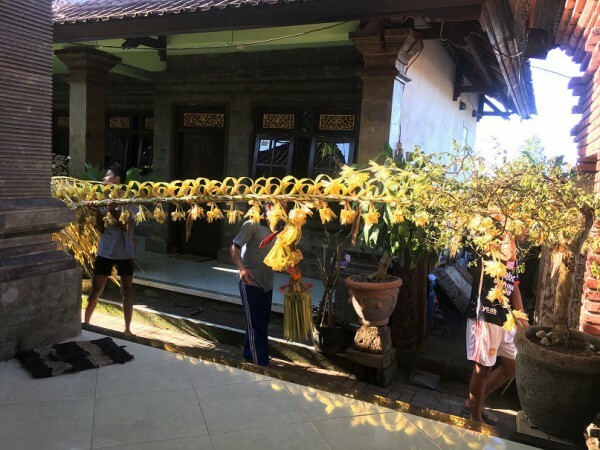 Galungan Day is celebrated every Balinese year (a Balinese year has 210 days), so approximately every seven months a different family member is responsible for the time-consuming job of decorating the Penjor. 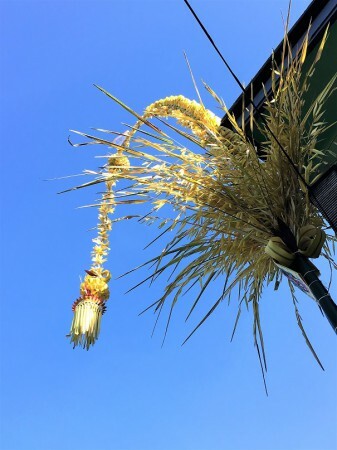 We watched as the Penjor was prepared, carefully dressed in different bamboo decorations and finally installed in its rightful place: in front of the house, next to the entrance to the family compound. As the days progressed we saw more and more Penjor being installed along the village road, a very colorful sight! 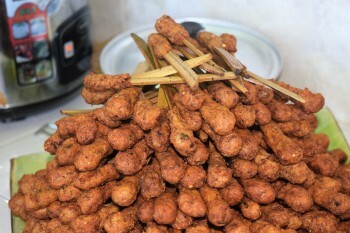 The day of our departure we helped prepare 300 sticks of chicken sate, about half of those meant for offerings. 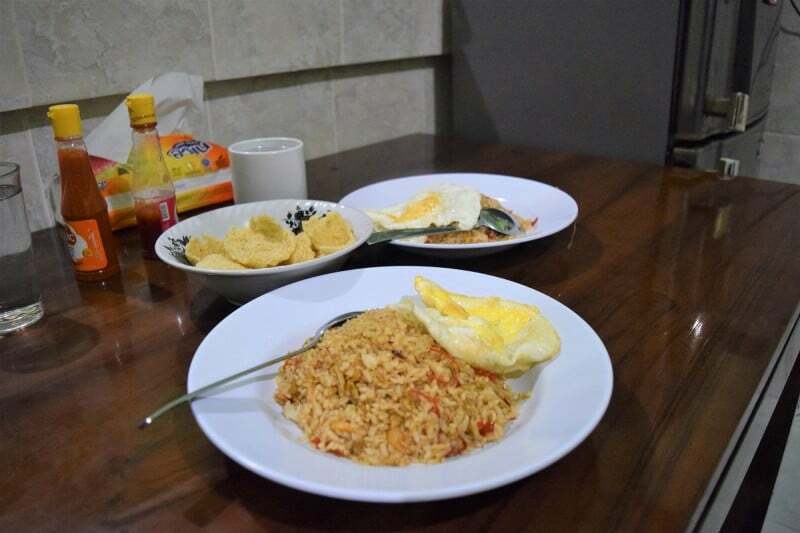 We also learned the family sambal recipe, something we will definitely try to recreate back at home! 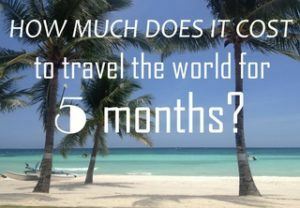 If you want to know more about Duara Travels, check out their website. You will experience a destination in a very different way while supporting a local community at the same time. Duara Travels makes this possible and I highly recommend to stay in one of their villages. It will enrich your travels and give you a much deeper understanding of the local culture. Disclosure: I was hosted by Duara Travels in Sebatu. Nevertheless, all pictures and opinions are my own.